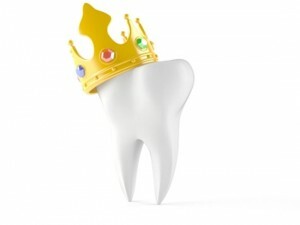 Placing a crown is often recommended to repair tooth enamel and structure. Patients that are suffering from tooth decay, tooth root infection, or oral trauma, such as a chip or fracture, the tooth may ache or feel sore. Once the dental problem is taken care of, the tooth may still be vulnerable to further damage or discomfort. Having crown placed will alleviate symptoms and protect against further issues. 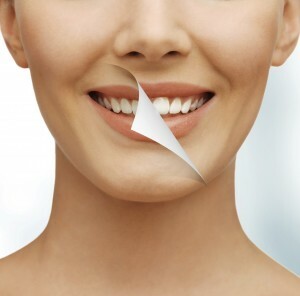 Some patients mistakenly believe that this restorative procedure is complicated or intensive. In all reality, having a dental crown placed is minimally invasive and relatively straightforward. Once the tooth’s enamel is clean and healthy, your dentist will shape your tooth so that it will securely hold the crown. Crowns are custom made just for you. Each dental crown is designed according to your exact specifications in terms of the shape, size and color. Patients can feel confident that the dental crown will blend in seamlessly with their existing teeth. Since crowns can fit over a damaged or discolored tooth, they can instantly correct a myriad of dental problems. If you’re interested in learning more about dental crowns, contact Dr. Larry Lieberman, DDS at 727-785-8017 to schedule a consultation today. Or visit www.dentist-lieberman.com for additional information. This entry was posted in Cosmetic Dentistry, Crowns, Family Dentistry, General Dentistry, Restorative Dentistry and tagged Cosmetic Dentist, Cosmetic Dentistry, cosmetic surgery, Crowns and Bridges, Dental Crowns, Dental Implants, dental procedures, dental surgery, family dentistry, Restorative Dentistry on October 6, 2017 by admin. We all consider our time to be very important. And that’s one of the reasons we offer the advanced CEREC technology, capable of producing a dental crown in just one day! CEREC is a CAD/CAM technology, computer-assisted design and computer-assisted manufacture system and allows your dentist to make you a customized crown in just one visit. Before, making crowns consisted of multiple visits. First, is the consultation. They take a dental impression to make a mold of your tooth, then send it to the lab to make your crown. After a few weeks your crown is ready, so you would come back to have it placed. But with advancements in dental technology like the CEREC system, you can get all of this done in one day, saving you lots of time. Another advantage of the CEREC technology is precision. The scanner the dentist uses takes excellent 3D images of your jawline and the computer the dentist uses takes excellent images of the area for the crown. Instead of porcelain, these one day crowns are made with an enamel-like material. No metal is used, making the detection of cavities easier. And because we know that how your teeth look is important to you, they can color your crown in a day to match your existing teeth. If you’re interested in learning more about CEREC crowns, contact Dr. Larry Lieberman, DDSat 727-785-8017 to schedule a consultation today. Or visit www.dentist-lieberman.com for additional information. This entry was posted in Cosmetic Dentistry, Crowns, Family Dentistry, General Dentistry, Restorative Dentistry and tagged CEREC, CEREC dental crowns, Cosmetic Dentist, Cosmetic Dentistry, Crowns and Bridges, crowns in a day, Dental Crowns, family dentistry, general dentistry, Oral Care, Palm Harbor FL, Restorative Dentist on January 30, 2017 by admin. There are times in life where we will all lose or damage an existing tooth. In order to restore our flawed smile, we will require the use of a dental implant. Then you hear about crowns and bridges, and you’re confused. Which is which and what is the difference? 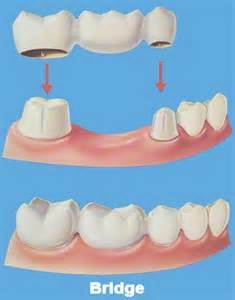 Dental crowns and bridges are dental prosthetic devices that are cemented onto existing teeth or implants. Unlike dentures, which can be taken out, crowns and bridges can only be removed by a dentist. Which procedure is right for you requires a dental examination and treatment plan. First the bridge. Like a bridge we would encounter driving along, dental bridges are used to replace one or more missing teeth, making the gap no longer existent. They are cemented to existing teeth or implants that surround an empty space, serving as anchors for the bridge. Porcelain is the most common material choice because it can be matched to the color of your natural teeth. 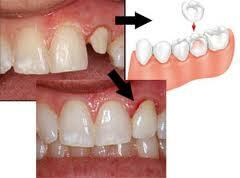 Crowns and bridges are fairly easy to take care of once applied. Practice good oral hygiene by brushing and flossing and seeing your dentist on a regular basis. Also, steer clear of chewing hard foods such as ice or hard candies. Follow these simple rules and your crowns and bridges could last a lifetime! If you’re interested in dental crowns or bridges, contact Dr. Larry Lieberman, DDS at 727-785-8017 to schedule a consultation today. Or visit www.dentist-lieberman.com for additional information. This entry was posted in Crowns, Dental Bridge, Dental Implants, Family Dentistry, General Dentistry, Restorative Dentistry and tagged Cosmetic Dentistry, Crowns and Bridges, Dental Crowns, family dentistry, general dentistry, Restorative Dentist, Restorative Dentistry on December 29, 2016 by admin. Crowns can help relieve uncomfortable symptoms. Placing a crown is often recommend to complete a restorative treatment, repairing the tooth enamel and structure. Patients that are suffering from tooth decay, tooth root infection, or oral trauma, such as a chip or fracture, the tooth may ache or feel sore. Once the dental problem is taken care of, the tooth may still be vulnerable to further damage or discomfort. Having crown placed will alleviate symptoms and protect against further issues. Crowns only require a relatively simple procedure. Some patients mistakenly believe that this restorative procedure is complicated or intensive. In all reality, having a dental crown placed is minimally invasive and relatively straightforward. Once the tooth’s enamel is clean and healthy, your dentist will shape your tooth so that it will securely hold the crown. Next your dentist will take an impression of it and send the information to dental lab when skilled technicians will fabricate your crown. When the crown is ready your dentist will place it over your tooth with a bonding cement. Crowns are custom made just for you. Each dental crown is designed according to your exact specifications in terms of the shape, size and color. Patients can feel confident that the dental crown will blend in seamlessly with their existing teeth. Crowns enhance the appearance of your smile. While dental crowns are mainly used as a part of restorative dentistry, they are also used in cosmetic dentistry. Since crowns can fit over a damaged or discolored tooth, they can instantly correct a myriad of dental problems. They can correct discoloration, staining, misshapen or misaligned teeth, chips, cracks and much more. Crowns are long lasting. Dental crowns are typically made from strong, beautiful materials, but how long they last ultimately relies on you. By practicing proper oral hygiene and avoiding a few bad habits, your crown can last between 15 and 30 years. If you’re interested in restoring your teeth with dental crowns, contact Dr. Larry Lieberman, DDS at 727-785-8017 to schedule a consultation today. 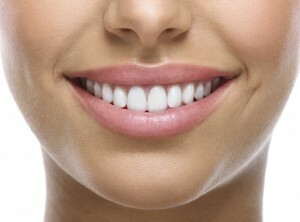 Or visit www.dentist-lieberman.com for additional information regarding restorative dentistry. This entry was posted in Crowns and tagged Dental Crowns, Dr. Larry Lieberman DDS, Restorative Dentistry on October 21, 2016 by admin. Dental crowns and tooth bridges are what’s known as fixed prosthetic devices. They are, unlike dentures, cemented onto existing teeth or other implants and can only be placed, as well as removed by a licensed dental practitioner. Crowns are used to cover damaged teeth to help strengthen it, as well as to improve its shape, appearance and alignment. Crowns can also be used and place on top of implants to make them look like normal teeth and to help them function as so. Typically, crowns are made out of gold and metal alloys. But, porcelain and ceramic crowns also exist and can be used to match the color of the rest of your natural teeth. Of the said materials, alloys are much stronger, as well as much more durable and are recommended to be used for back teeth. Porcelain may also be bonded to a metal shell for durable, yet attractive finish. Replacing fillings so large that there just isn’t enough tooth remaining. Protecting a weak tooth from further damage or fractures. Restoration of a fractured tooth. Covering a misshapen or discolored tooth. Covering a tooth that had just recently undergone root canal treatment. Missing teeth can cause an imbalance which may lead to a variety of dental problems, such as a bad bite, gum disease and even TMJ disorders. As such, those missing one or a couple of teeth may opt to get a dental bridge. Dental bridges work by spanning the space left over by the missing teeth. They are cemented either to the natural teeth or to the implants, which are referred to as abutments now that they serve as anchors for the ridge. Like with crowns, there are plenty of materials to choose from when it comes to dental bridges. Though, it is best that you let your dentist decide and discuss with you which material is best for your particular case. Before a crown or bridge is manufactured or made, your tooth or teeth have to be prepared first. This is usually done by reducing it in size to make sure that the crown or bridge is a perfect fit. Once prepared, an impression will be taken that will be used as molding for the crown or bridge. The said impression is then sent to a dental lab where your crown or bridge is made. Meanwhile, a temporary crown or bridge is placed to cover the prepared area. Once the permanent crown or bridge is ready, the temporary ones are then removed and the new, permanent ones are cemented in place. Crowns and bridges are built to last for decades, but that does not mean that they’re not prone to breaking, becoming loose or even falling out. The best way to make sure that your crown or bridge lasts long is to practice good oral hygiene. This includes brushing your teeth twice a day, learning how to use a dental floss and even rinsing with mouthwash. Of course, you shouldn’t forget to visit your dentist regularly as well, for regular checkups and cleaning. This entry was posted in Restorative Dentistry and tagged Crowns and Bridges, Dental Crowns, Dr. Larry Lieberman DDS, Restorative Dentistry on January 31, 2016 by admin. Dental crowns and bridges are dental prosthetic devices that are cemented onto existing teeth or implants. Unlike dentures, which can be taken out, crowns and bridges can only be removed by a dentist. Dr. Larry Lieberman DDS specializes in crowns and bridges and would like to offer some insight into this popular procedure. Dental Bridges are used to replace one or more missing teeth. They are cemented to existing teeth or implants that surround an empty space, serving as anchors for the bridge. Porcelain is the most common material choice because it can be matched to the color of your natural teeth. Dental crowns covers a damaged tooth. They are used for various reasons such as strengthening a damaged tooth, improving the tooth’s appearance or shape and to fix alignment issues. As with bridges, crowns can be made of porcelain. Make an appointment today with Dr. Lieberman in North Palm Harbor, FL at 727-785-8017. 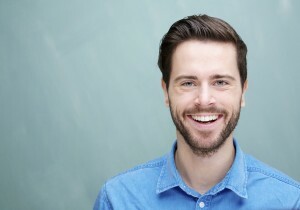 Learn more about his practice by visiting www.dentist-lieberman.com. This entry was posted in Restorative Dentistry and tagged Crowns and Bridges, Dental Crowns, Palm Harbor Dentist, Palm Harbor FL on January 31, 2014 by admin.